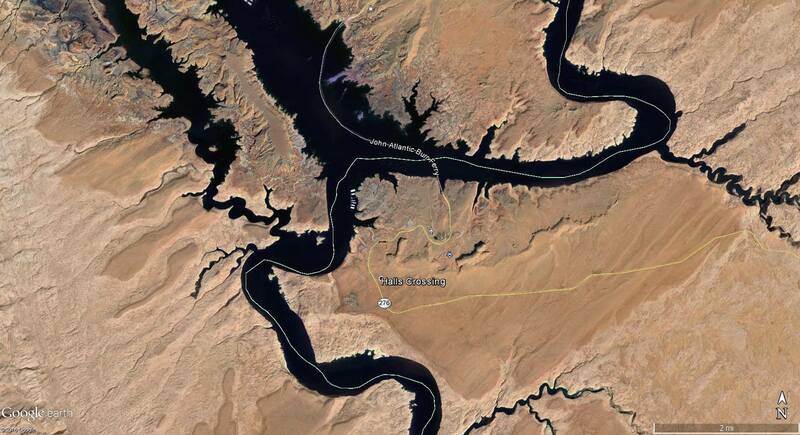 ST. GEORGE — An 18-month-old child is missing and presumed drowned after apparently falling overboard from a houseboat into Lake Powell. The houseboat was tied to a stationary buoy at Hall’s Crossing Saturday night about 7:30 p.m., San Juan County Sheriff Rick Eldredge said in a news release. The child was said to have been with the mother when the disappearance was reported to the National Park Service. Park Service rangers were called and responded within minutes, according to the news release. They were unable to locate the child on the houseboat then searched the water. The child had not been wearing any type of life preserver, the release said. Several Park Service boats with sonar capability searched the lake until about 10:30 p.m. when the search was called off with no success in locating the child. The child is presumed to have fallen into the water and drowned, the release said. The Sheriff’s Office, Park Service and Utah Department of Public Safety dive team resumed the search Sunday. This is a developing story, based on preliminary information provided by law enforcement and may not contain the full scope of findings.